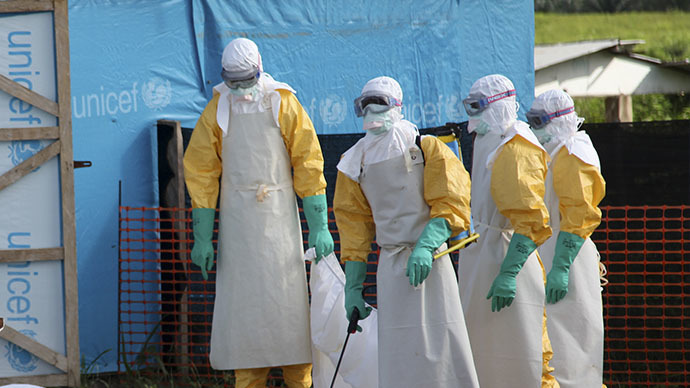 Guinea has declared a “health emergency” as the number of people killed by the Ebola virus in the West African nation reached 377. 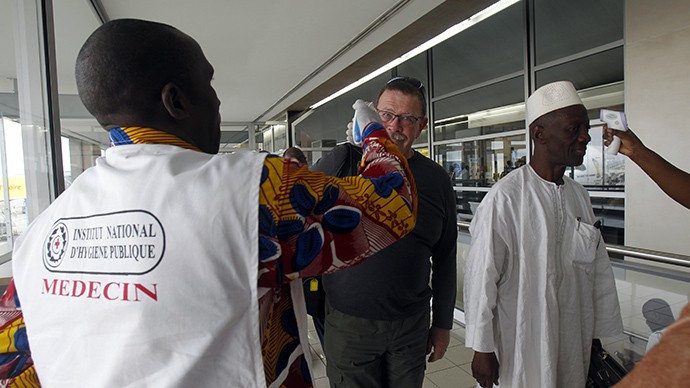 More flights to West African countries have been cancelled as the region waits for the arrival of experimental drugs. All suspected victims will also be forced to go to hospital until they are clear of infection. 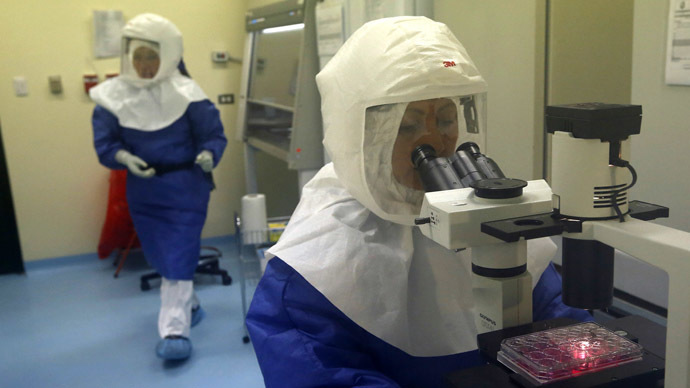 South Africa has also repordedly declared its first suspected case of Ebola. A spokesman for the South African Province of DA Gauteng, Jack Bloom, said Thursday that there is a suspected case of the deadly virus at the Rahima Moosa Hospital. 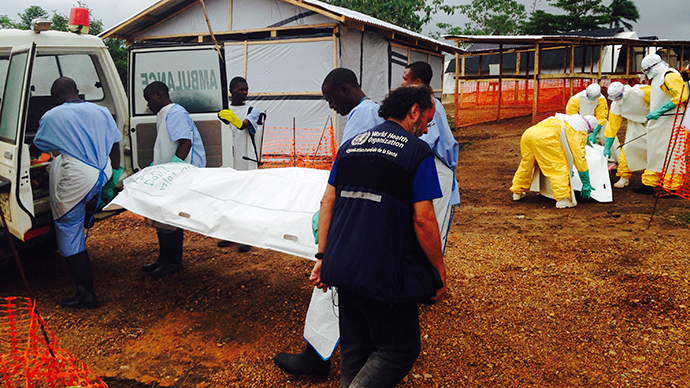 “The patient is from Guinea and is presently being kept in isolation. If it is a confirmed Ebola case then the patient will be transferred to the Charlotte Maxeke Johannesburg Hospital which has been designated to treat Ebola with all due safeguards,” he said, as quoted by the Citizen, a South African tabloid. Gambia, which has apparently yet to see an Ebola case, has suspended all fights from Ebola ravaged Guinea, Liberia and Sierra Leone, according to a document from the Gambian Transport Ministry seen by AFP. In the worst epidemic since the disease was first discovered in 1976, the death toll has now reached 1,069 with 56 people dying in two days and a total of 2,000 infected, according to the World Health Organization (WHO). Between 800 and 1,000 doses of a vaccine called VSV-EBOV, which has shown positive results when tested on animals but has yet to be used on humans, were on their way to the region and would be distributed via the WHO, Canadian Health Minister Rona Ambrose said. 1,000 doses of Zmapp, which has been barely tested on humans, are also on their way from the US. Its effectiveness has not yet been proven. It appears to have had a positive effect on two US aid workers who were infected in Liberia, but an elderly Spanish priest who was given the drug died in a Madrid hospital Tuesday. Nonetheless, all available supplies are on their way to the affected regions of West Africa where there had been an outcry that it had only been used on westerners. 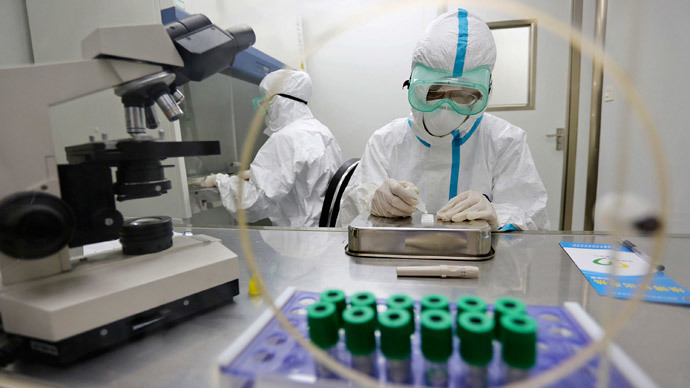 A third experimental Ebola drug, TKM-Ebola, made by Tekmira, a Canadian lab, may also be used, although this has not yet been confirmed by the WHO. 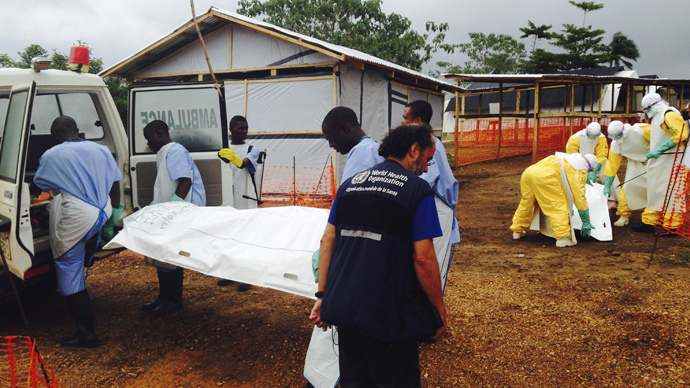 In Freetown, the capital of Ebola-ravaged Sierra Leone, the deadly virus is stirring up extreme emotions. Outside the dilapidated hundred-year-old Connaught Hospital, soldiers have been brought in to guard doctors and nurses, many of whom have been targeted by angry crowds, who are blaming them for exacerbating the epidemic. “We are all scared because of the way Ebola is spreading, but we are taking all the necessary precautions,” said Waisu Gassama, who works in the HIV department of the hospital. An AFP journalist visited a village 150 kilometers away from Monrovia, Liberia’s capital, and found a story of a family being shunned by villagers. 12-year-old Fatu Sherrif died after being locked away with her dead mother for a week without food and water and nobody answered her cries. Fatu’s brother Barnie was left alone in an abandoned house despite testing negative for Ebola. “Nobody wants to come near me and they know – people told them that I don’t have Ebola,” he told AFP. Germany has called on its nationals to leave Sierra Leone, Liberia, and Guinea, although it said it will keep its embassies open. The Gulf monarchies are discussing ways to guard against the epidemic as millions of Muslims from around the world are due to arrive in Mecca for the annual Hajj pilgrimage in early October. Nigeria has withdrawn from the Youth Olympics in China, after its athletes were quarantined and the Kenyan Medical Association has called on the east African country’s national airline to stop flying to Ebola-hit states, a day after the WHO declared Kenya a high-risk country. The US also announced on Thursday that it has ordered family members at the US Embassy in Freetown, the capital of Sierra Leone, to leave because of limitations on general medical care as a result of the Ebola outbreak. "The Embassy recommended this step out of an abundance of caution, following the determination by the Department's Medical Office that there is a lack of options for routine health care services at major medical facilities due to the Ebola outbreak," the State Department said in a statement.